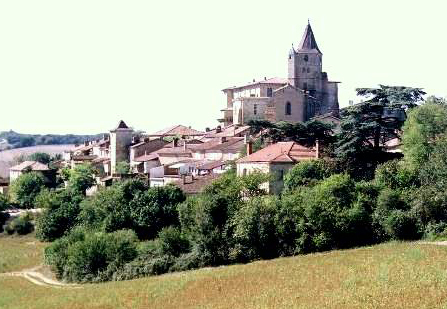 Search Rent-in-France for self catering holiday cottages, gites, villas and apartments in Gers, France. 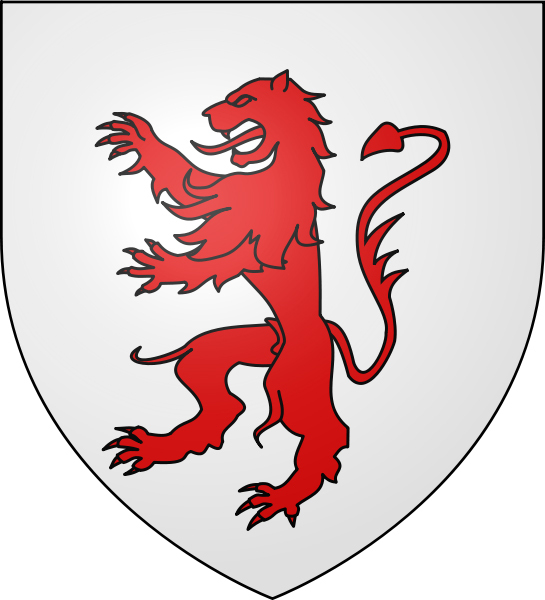 Created during the French Revolution on March 4 1790, Gers is one of the original 83 departments of France. It is named after the Gers River and formed from the former provinces of Gascony and Guyenne. This very rural, peaceful and relaxing part of the country is a landlocked department of France situated in the South West in the Midi-Pyrenees region. Referred to as one of the least densely populated, most rural areas in Western Europe today - Gers is surrounded by the departments of Haute-Garonne, Lot-et-Garonne, Pyrénées-Atlantiques, Tarn-et-Garonne, Landes and the Hautes-Pyrénées. 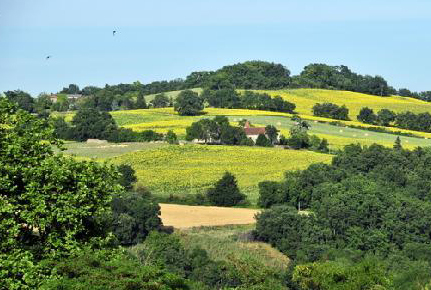 Being a rural region means that over many centuries the gastronomy has vastly developed making Gers one of the best areas to dine in France and therefore a popular place to rent self catering French holiday accommodation. With its rolling countryside and little villages situated in the hilltops the wonderful Gers landscape is accompanied by the striking backdrop of snow capped Pyrenees mountains. With plenty of lakes and rivers there is an abundance of local activities available including Fishing, Boating and waterskiing. Its sandy beaches are only a short drive away located on the Atlantic coast and for all those skiing fanatics there are a number of fantastic ski resorts situated in the Pyrenees Mountains. Gers is known for its rich local cuisine, its South Western location means that menus in the area tend to feature a lot of Duck and Goose whether as confit, foie gras or magret de canard. The local farming community are very proud of their locally produced products including Savoir Faire and it has been said that the recipe has been guarded for generations. Visit the local markets which offer a wide range of the locally produced products including some magnificent fruit and vegetables. 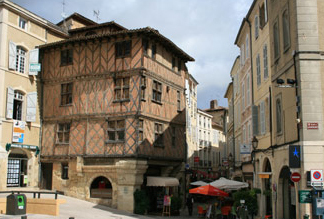 Believed to be the brandy of princes, Gers is home to the famous Armagnac brandy. This distinctive kind of brandy is the oldest of its kind distilled in France. Fleurance Located south of Lectoure, Fleurance lies on the Gers river. Well known as one of the main commercial centres of the Gers department and ideally located between Agen and Auch. Condom Capital of the Tenareze district, this wonderful town is full of great shops with its thriving market every Wednesday. Be sure to visit Condom whilst staying in a Gers Holiday cottage with its beautiful cathedral and the famous Armagnac museum both of which are definitely worth seeing. Marciac Founded in the 13th century this very lively town is famous across the globe for its August jazz festival and a number of musical event throughout the year. Its beautiful square in the centre is surrounded by arcades and is home to the church which boasts the highest clock tower in Gers. The nearby lake is a major attraction to holidaymakers visiting Gers. Auch The capital of the Gers department. Its old town which stands overlooking the Gers river is well worth exploring when taking a self catering Gers property with the main attraction being the cathedral. The Cathedrale Ste-Marie wasn’t finished until late seventeenth century and was built in a late Gothic style. Aude is also home to the famous statue of d’Artagnan, the fourth musketeer of the three musketeers created by Alexandre Dumas, père. Mirande Located on the banks of the Baise Mirande is one of the biggest bastides of southern Gers. The large porch tower of the church is the main attraction. With its beautiful bandstand situated in the centre, the large square is surrounded by arcades in a warm yellowish stone. Cologne Situated east of Mauvezin. Its wide open and spacious square and covered market surrounded by houses built in a beautiful combination of stone, brick and timber make Cologne one of the prettiest bastide in France. As expected with a self catering holiday rental in south west France, the summers in the Gers department offer you lots of sunshine, are very warm and the rainfall is minimal. The average temperature during the summer is around 30°C between the months of June and September. During the winter months the temperature can drop significantly below zero with occasional snowfall. The winter time in Gers is somewhat shorter than in UK as the spring time begins much earlier and the autumns last that much longer. Spring and Autumn time in Gers is ideal for all those looking for a relaxing walking, cycling or golfing holiday as the temperate averages at a comfortable 15°C during these months. Reach your Rent in France holiday rental in Gers with ease with daily flights from a number of UK airports. Toulouse (TLS) and Bordeaux (BOD) Airports are really good options when travelling to Gers and both RyanAir and BMIbaby offer a range of cheap flights to either of these airports. British Airways, Flybe and Easyjet all fly to Toulouse and Bordeaux from various different airports across the UK. St Malo to the Gers is the shortest road route if you are thinking about driving, journey time is approximately 7 hours. Brittany Ferries run a service from Plymouth to St Malo and also Condor Ferries offer crossings from Weymouth and Poole.